Many hounds love to run so direct that energy onto an appropriate toy and not cats, squirrels, and rabbits, etc... Many hounds love chasing games so start with a flirt pole. You can fashion your own or purchase one. 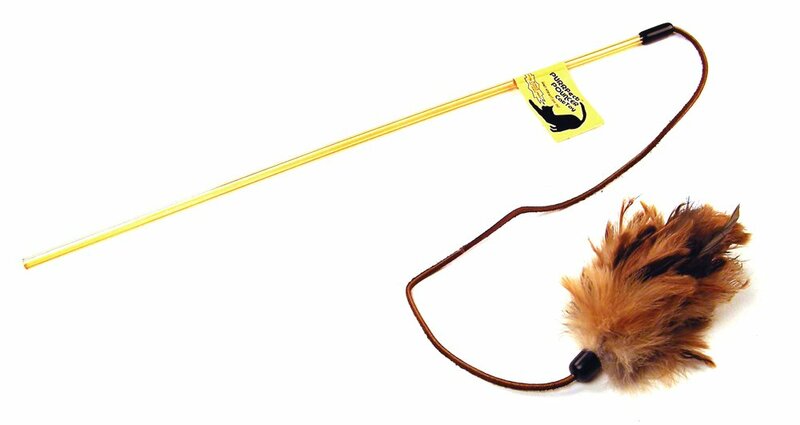 With a young dog you can start by attaching some feathers to the end of a line and flicking them in front of your dog. When you peak his curiosity flick them away to start the chase. Flirt poles are a great fun and a great way to exercise your dog. Do not overdo it with young dogs since they are still growing and vulnerable to injury. Check with your veterinarian for guidance. Since retrieving contains an element of chasing which most dogs love to do, we will not want to strengthen this behavior without putting some controls on this behavior. We want to make chasing permission based, and add brakes on the behavior by teaching the puppy to come back to us even when he is chasing something. Ideally we want to teach this by 16-weeks.